Only a third of nurses and midwives in England's NHS say they are happy with their pay, despite the three-year deal that began last year. Continued disquiet about salaries is evident in the latest annual survey of NHS staff. The NHS Staff Survey 2018 also reveals nurses are more likely than other staff groups to work unpaid hours, experience violence at work and be bullied by colleagues. The survey was conducted between September and December in 2018, and attracted 497,117 responses – about half of those surveyed. About 125,000 responses came from nurses and midwives. Of these, 33.6% reported being 'satisfied' or 'very satisfied' with their pay. 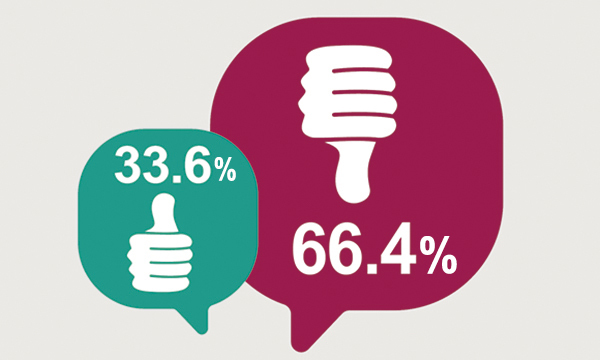 While this figure is up from 27.5% in 2017, it means 66.4% of nurses range from feeling, at best, neither satisfied nor dissatisfied to, at worst, being very dissatisfied with their earnings. Most survey respondents worked unpaid hours, with 70.1% of nurses and midwives saying they did so every week. This is compared to 57.8% of staff overall. RCN national officer Kim Sunley said the prevalence of unpaid work in nursing pointed to the dire staffing situtation in the NHS. 'It’s alarming how many more nurses report working unpaid hours weekly which demonstrates how short staffing essentially means each nurse can be doing the job of two,' she said. Almost one in four (23.6%) nurses and midwives reported experiencing at least one violent assault by patients, patients’ relatives, or the public in the previous year. The NHS staff average was 14.5%. 21.9% reported at least one case of bullying, harassment or abuse from a colleague, compared to an NHS average of 19.1%. A mere 28.3% of nurses said there were enough staff at their organisation, compared to an NHS staff average of 31.8%. RCN acting general secretary Dame Donna Kinnair said the overall findings were 'indicative of a health service with a cavernous gap between the number of staff it has, and what it actually needs to meet demand'. She reiterated the college's call for legislation on safe staffing. Health and social care secretary Matt Hancock said while it was encouraging to see NHS staff taking pride in their organisation, more needed to be done to tackle the bullying and discrimination too many staff experience.